Keen VS. Merrell: What Is The Best Day Hike Shoe of 2018? The first time I got a pair of low cut hiking shoes, I was astounded by how many options I can choose from. However, two brands did catch my attention, Merrell and Keen. 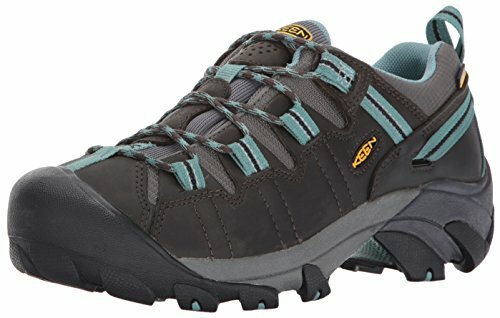 If you’re looking for hiking shoes, I’m sure you have stumbled upon these two brands as well. You may have even found it difficult to choose between the two, I know I did. That’s why I made this quick guide on best hiking shoes brands. Take a look for yourself and see which shoe brand fits you the most! Keen VS. Merrell: Which One Should You Get? When I was looking for low cut hiking shoes, I was looking for something that can provide me great traction and security but at an affordable price. That’s when I found Keen. Keens are great outdoor shoes that are much more affordable than Merrells, which Is why I decided to go with them in my attempt to get my very first pair of low cut hiking shoes. My experience with Keens was great, but they did have their fair share of flaws. At first I used them for short day hikes then I pushed for longer hikes on rocky terrain. That’s when I experienced how far Keens can go. Long story short, Keens weren’t the perfect choice for long-term use. I experienced a couple of wear and tears only after a couple months of use. But hey, you get what you paid for right? 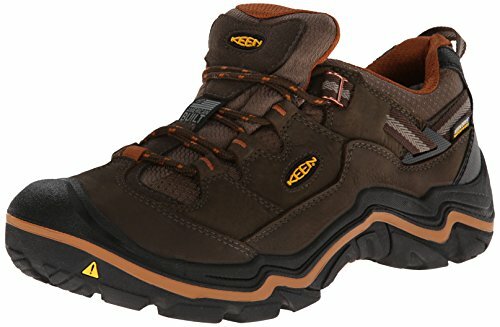 Keen footwear often comes with waterproof designs. Most of their shoes are made with a mesh upper and waterproof leather. Unfortunately, the leather parts of Keens are what makes them not able to last long. Rough use of Keens can lead to early wear and tear of leather. Another thing I disliked about the Leather part of Keens is how it feels a bit hot on the feet. Keens also tend to be wider than most outdoor shoes I’ve tried. They also don’t have much arch support which can be a problem for people with high foot arches. Lastly, I noticed how some parts of Keens weren’t stitched, just glued, which can be quite a turnoff since most quality footwear is thoroughly stitched. Keens often come with flexible soles and replaceable footbeds. I remember being able to use my Keens comfortably for hiking, running, and even tennis games. Keens also offer great traction that makes them very great for most kinds of sports. Moreover, since Keens come with a very casual design, you can also use them for travelling. They’re also pretty lightweight, so if you’re planning a backpacking trip, you could easily carry Keens inside your pack. Overall, Keens are great first time hiking shoes. If you are looking for a quick buy, Keens are definitely the best choice. 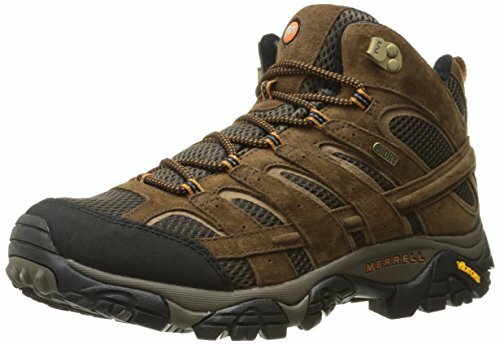 But if you’re looking for something more long-term, I suggest you take a look at what I have to say about Merrells. There is so much I have to say about Merrells. First thing is, I really love Merrells because of their very comfortable feel and ultra durable build. After wearing out my Keens, I got a pair of Merrells as a replacement. It’s been a year since I got my low cut Merrells, and I have never gotten a new pair ever since. 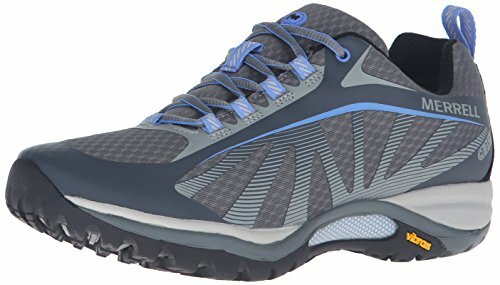 The main thing I noticed about Merrells when I was looking for which one to get is that they are very lightweight and sturdy at the same time. They’re practically made for the long haul. Without a doubt, a nice pair of Merrells will be able to get you through any kind of terrain. Whether you’re crossing a river or trekking on snowy terrain, Merrells will give your feet sufficient comfort and security every time you wear them outdoors. Just like Keens, Merrells are made of leather and mesh. Perhaps the main thing that separates Merrells from Keens is the thorough stitching that prevents the leather parts of Merrells from wearing and tearing even after frequent and rigorous use. Some Merrells can even come with suede parts that look very casual. On the downside though, Merrell shoes tend to be quite narrow, which doesn’t make them ideal for wide feet. They do, however, come in several sizes. As for waterproofing, some Merrell shoes come with totally waterproof designs. They also have quick-drying shoes that let the air freely flow inside your shoes. Bottomline, Merrells are designed very well. They’re super comfortable to use, lightweight, and ultra durable. Merrells come with Vibram outsoles that make for great traction. I immediately noticed how different my Merrells performed as opposed to my Keens when I trekked to a waterfall. The trail was mostly comprised of slippery river crossings that weren’t a problem for me since my Merrells offered supreme traction. Another plus for some Merrell models is the dual-density molded midsoles they come with. Such midsoles offer great heel and arch support that will help you walk through rocky terrain as comfortable as possible. Walking on rough terrains has never felt so soft with other kinds of outdoor footwear. Merrell footwear are probably the best choice for all sorts of outdoor use. They may be a tad more expensive than Keens, but you will surely get the best value for your money considering how long Merrells can last. Already know which brand will work better for you? If so, allow me to help you solidify your decision by giving you a couple of tips for finding the right kind of day hike shoes for yourself. When it comes to any kind of product, it is always important to go by a set of standards that will help you determine whether a certain product is worth your hard-earned cash. 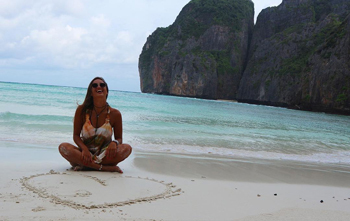 Before you buy any kind of outdoor footwear, try to consider these following factors first to ensure that you end up as a happy and satisfied customer. Make sure that the shoe you are getting fits your feet perfectly. A half inch of excess space can do you wonders especially if you like thick socks. Not enough allowance, on the other hand, can lead to uncomfortability. Remember, thin soles can make for lighter shoes and thicker soles for heavier ones. Waterproof shoes also tend to be heavier so try to choose quick drying ones if you want to get something lightweight. Try to get a pair of shoes that’s ideal for the kind of terrain you plan to use it on. If you’re not sure which one you should get, you may want to go with an all-terrain kind of footwear. Keen VS. Merrell, which one should you get? It really depends on your personal preference and budget. But if you ask me, I would go with Merrells simply because they last longer than Keens do. Merrells offer pretty much everything that Keens do and more. Whether you are planning to go on a long walk, a rigorous trek, or a hike on snowy terrain, you can certainly rely on Merrells for comfort as it perfectly keeps your feet secured on the ground as you go on your adventure. Want to learn about more outdoor gear or tips? Feel free to explore my blog! There’s a lot more where this came from! Also, don’t forget to show your support by sharing this article with your friends and family. Thank you and happy shoe shopping!